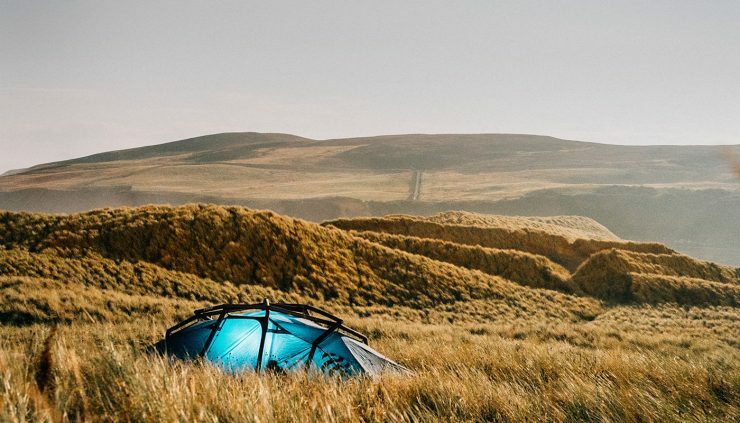 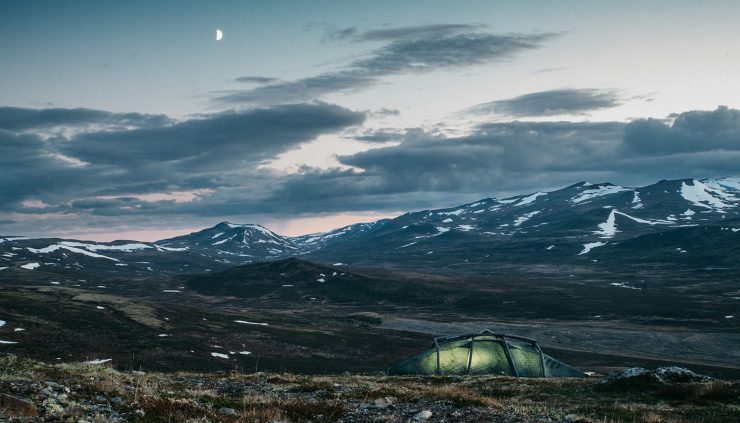 The Heimplanet Nias is a 4 to 6 person tent that weighs in at just 6.8 kilograms (14.9 lbs) thanks to its inflatable geodesic design (that means it needs no tent poles) and it’s highly resistant to wind due to its flexibility. 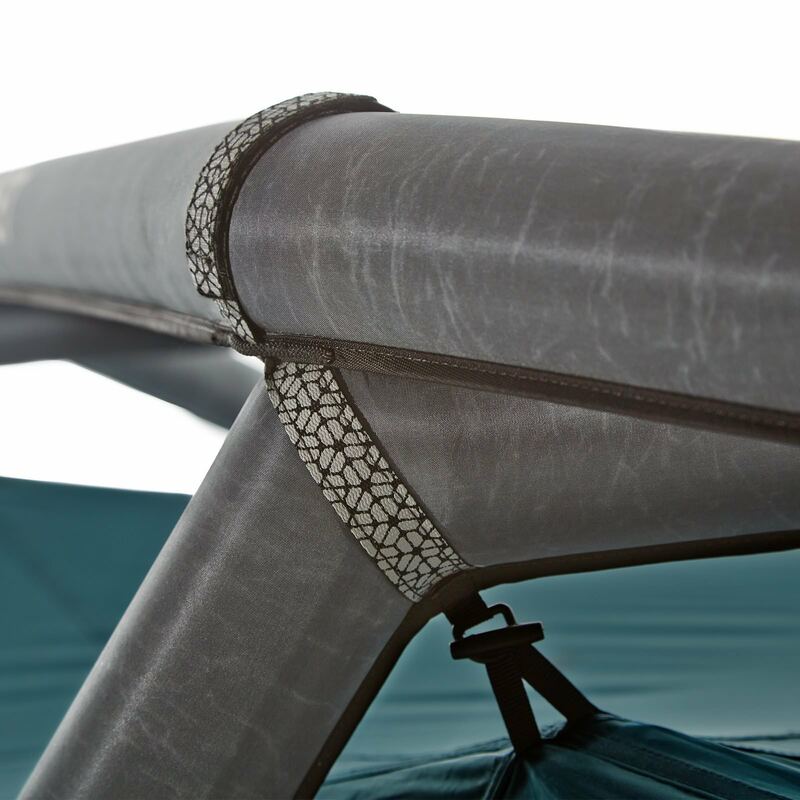 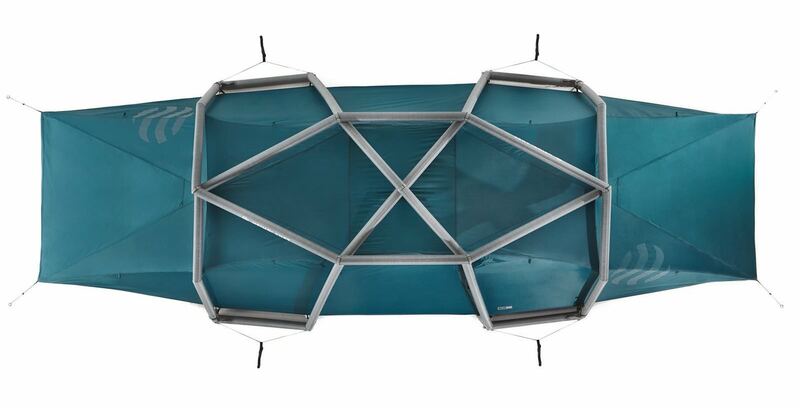 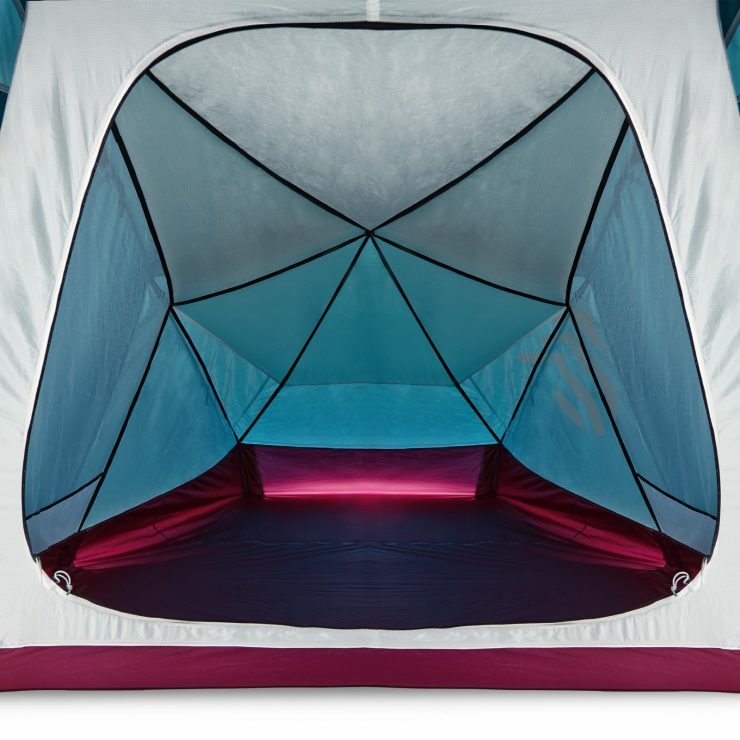 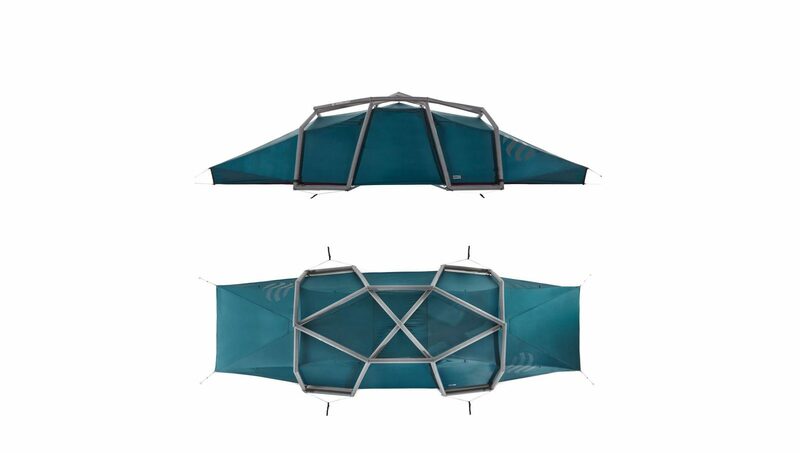 Each of Heimplanet’s tents uses a variation on the same basic geodesic design, or Inflatable Diamond Grid (IDG), the system used on the Nias Tent has 4 separate chambers meaning the structure will remain in place even if one section is punctured or damaged. 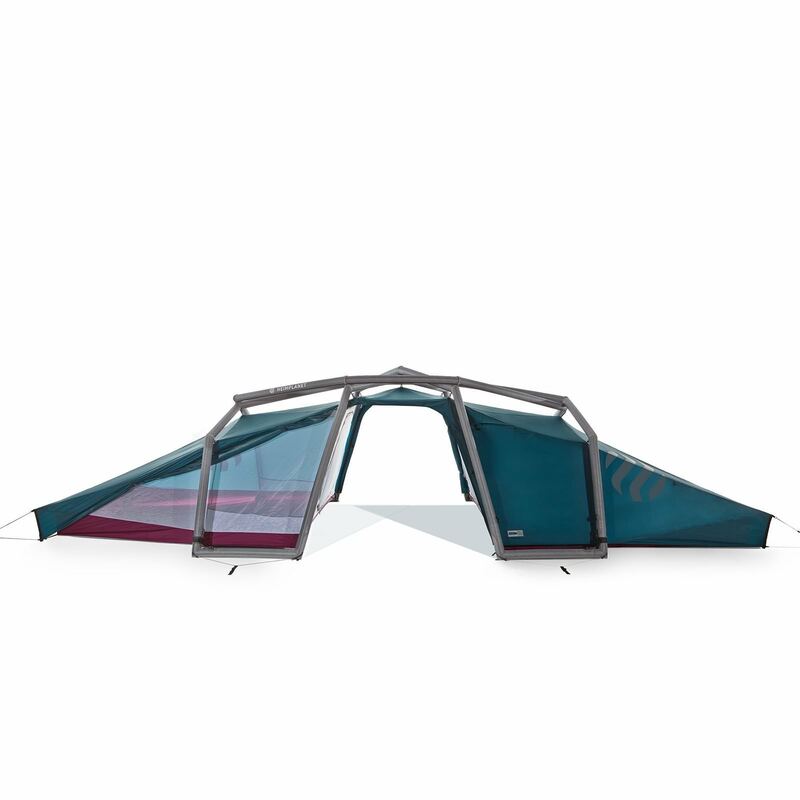 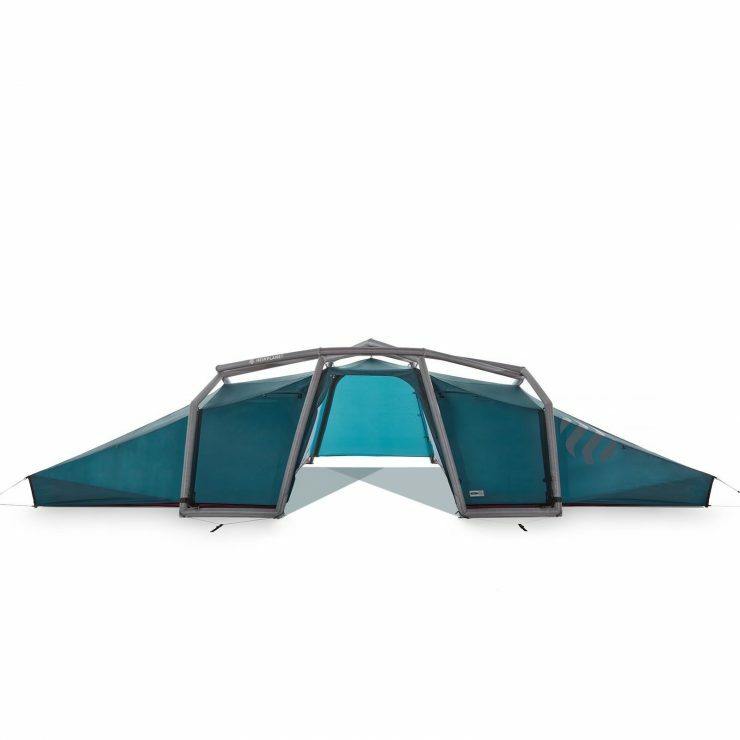 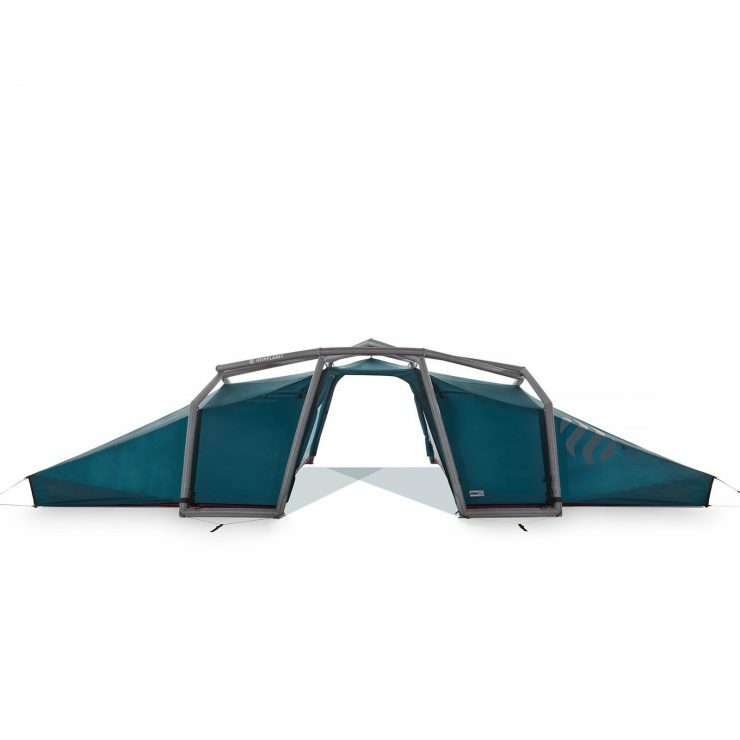 The overall outer height of the Nias Tent is 153 cm (60 inches) and the inner height is 118cm (45 inches), the outer layer is made from extra stiff and resistant polyester, with a flexible thermo- plastic polyurethane inner layer. 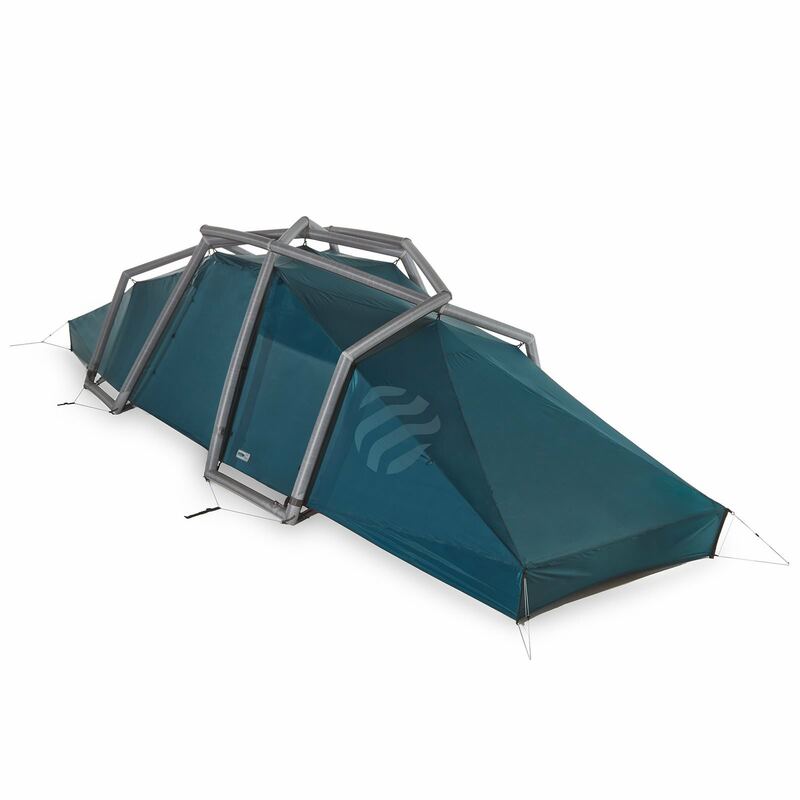 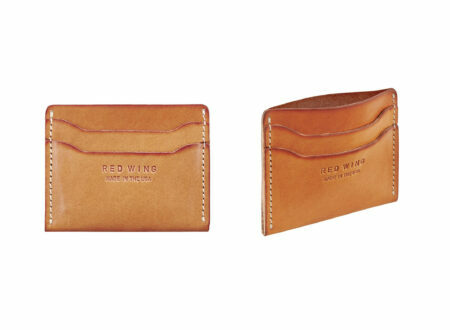 The flysheet is 100% polyester 66D 210T Ripstop, and the ground sheet is 100% Nylon Tafetta 70D 210T. The Nias has 3 main sections, there are cabins at each end able to accommodate 2-3 adults, and a central vestibule area ideal for gear storage, and wet weather gear storage. 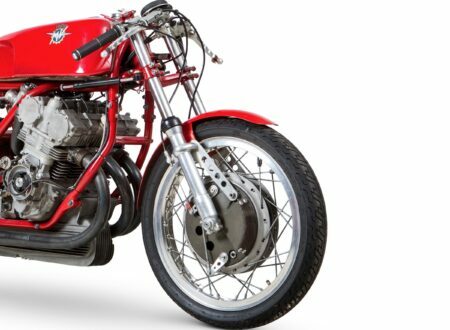 Each Nias ships with all the pegs, guy lines, and accessories you need including a compact repair kit. 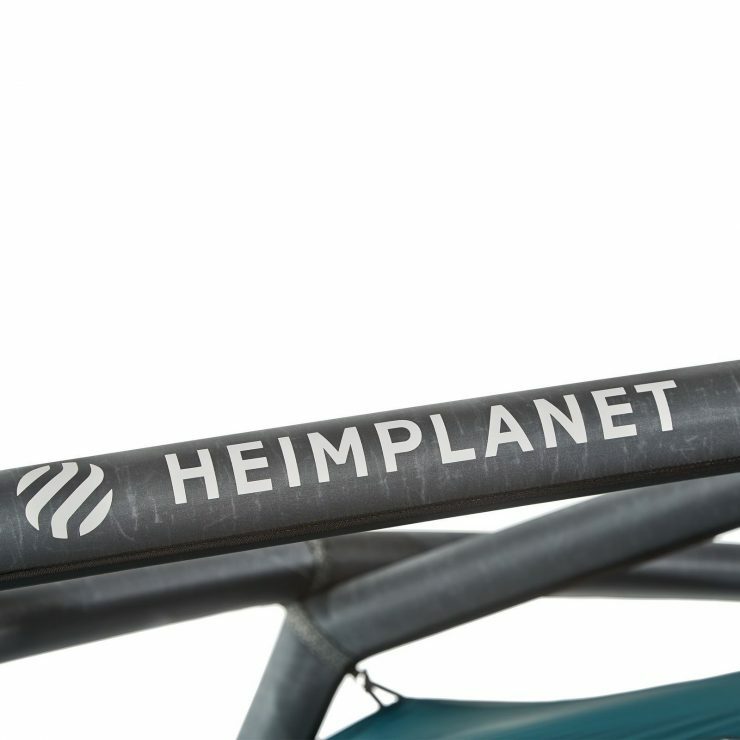 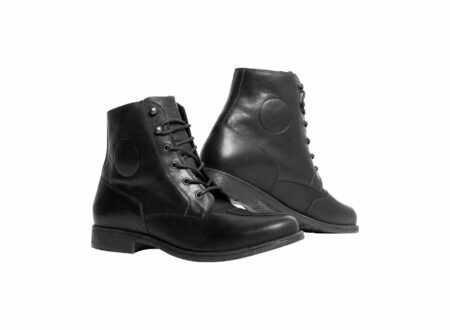 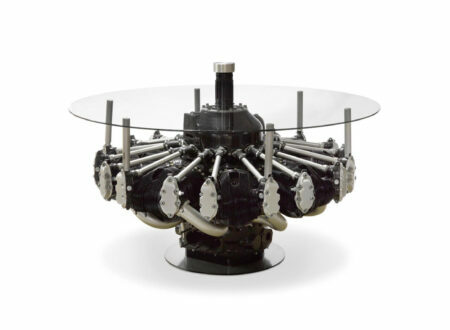 Pumps come separately as many people have one already, but you can order an official Heimplanet pump if you don’t happen to have anything suitable. For campers who can’t carry large loads or lengthy tent poles, inflatable tents are a great option – just be prepared for curious campers coming over to ask you about it.